Art is made up of many different fields – oils, watercolour, graphite, pastel, etching, mezzotint, etc – that at any one time one aspect will be in the fore while another has receded. Certainly, #SirFrankShort, revived the field of mezzotint and aquatint engraving. Sir Frank Short (1857-1945) was both artist and teacher of printmaking. Short was educated as a civil engineer but chose engraving to leave his mark in history. 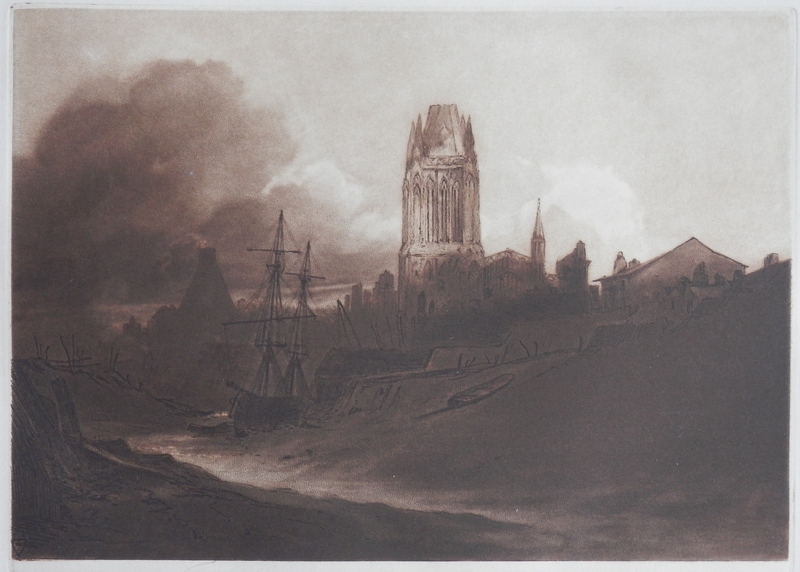 Specializing in mezzotint and aquatint allowed Short to begin his career by copying and imitating the works of JMW Turner. Short received high praise for is engravings and this possibly because he himself was a fine watercolourist. This may have led him to be a sympathetic engraver of landscapes, especially those after David Cox and Peter de Wint. It is serendipitous at times to find new information on pieces in my collection. 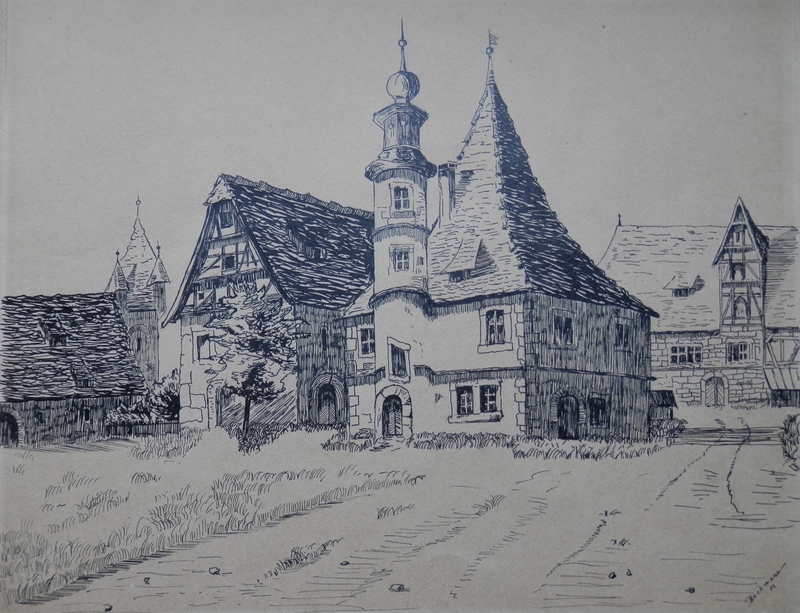 A few weeks back, I posted a chapter on a number of etchings of the town of Rothenburg. This led me to a house, also in Rothenburg, known as the #Hegereiterhaus (Gamekeepers House). I have a pen and ink drawing of this house signed by Beckmann. Not likely by the very famous Max Beckmann but? I have also been studying a graphite drawing of #JerusalemfromtheMountofOlives’. 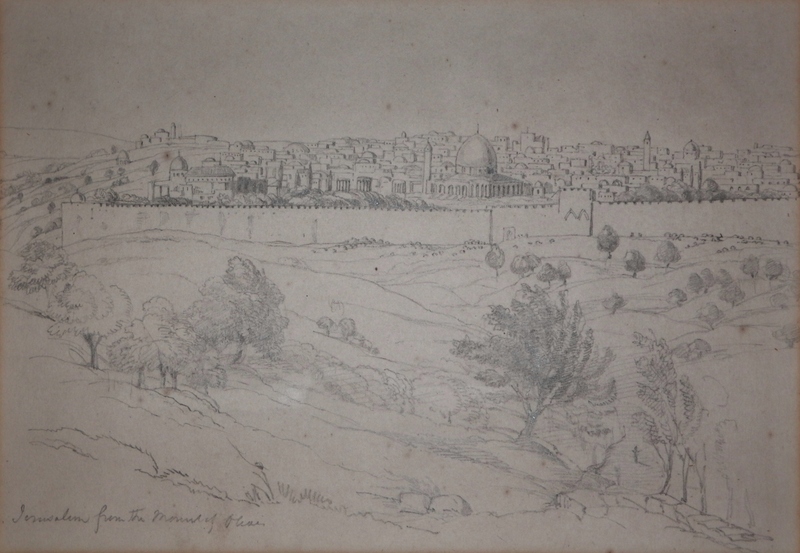 Jerusalem from the Mount of Olives – graphite drawing by unknown artist @ 1820? I had dated this drawing to 1850-1870 by the number of graves which can be seen in front of the city wall. The curious thing which I have noted is that if one looks at the left hand edge of the city the wall which should (I think) jut out from where the domed building appears then run across the terrain back and up to the distant towers on the high distant hill is not there. This may mean that the drawing maybe from around 1820. I continue to research where this wall should be and when it should have been. This entry was posted in Uncategorized and tagged Beckmann, church, city wall, gamekeepers house, hegereiterhaus, Jerusalem, mosque, Mount of Olives, Rothenburg, shore, St. Mary's Redcliffe. Bookmark the permalink.